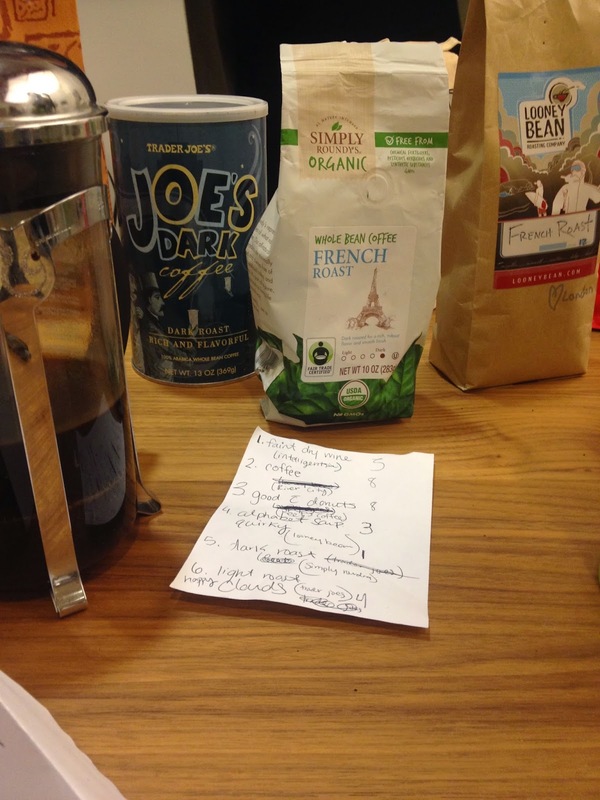 While in PDO this week we had a fancy coffee tasting event. A couple that are going to be missionaries in the Philippines are also really into coffee. They may even open a coffee shop while doing ministry there. To help connect with their supporters they set up these coffee tastings so their supporters get a sense of their expertise. These missionaries set up a coffee tasting for use too! They had a unique process of getting the coffee ready for us to try. They had six different kinds of coffee beans. Ground the beans with a hand-cranked coffee grinder. Weighed out the correct amount of coffee grounds. In a french press, they added a splash of boiling water and let it sit for a few minutes, then filled the french press with more boiling water; and at the right time plunged the french press. Then we sampled. It was all a really scientific event! We sampled all the six different brewed coffees, described the flavors we tasted, rated them on a scale of 1-10, and guessed which coffee brands/types went with each brew. I did not do very well on identifying the correct types of coffee, but at times I had some interesting descriptions to the flavors I tasted. Unfortunately Kameron was sick this night, so he did not get to taste the coffee with me. This would have been his cup of tea (-er I mean coffee). He's the one that got me into liking coffee in the first place.